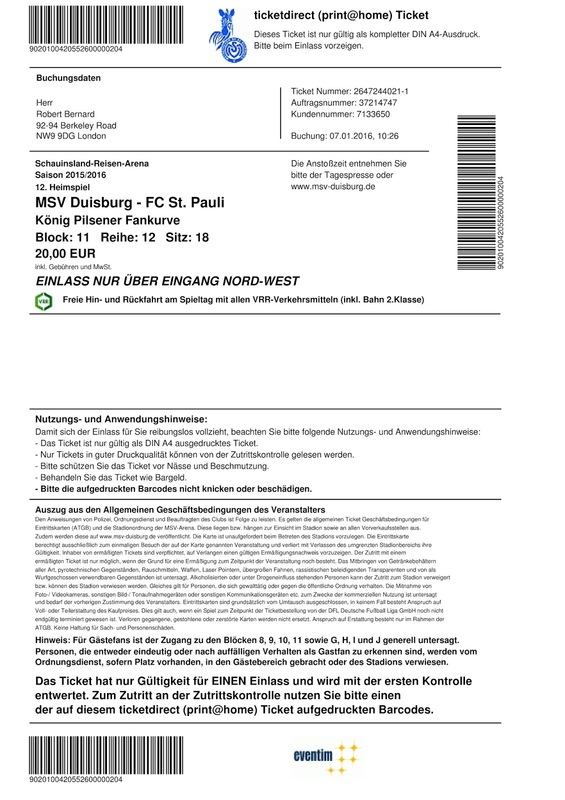 MSV Duisburg is a professional football club from the city of the same name in the North Rhine-Westphalia region of Germany, who were formed in 1902 as Meidericher Spielverein. The club represented the city of Meiderich, which became part of Duisburg three years later. By 1905 the club had risen to B class status, the same time as they changed their title to Sport Club Viktoria Meiderich. Within four years promotion was won to A class following an unbeaten season. In 1915 Meiderich became Ruhr champions. Meidericher SV won the Niederrhein championship in 1929,qualifying for the German national championships. The feat was repeated two years later. In 1932 the club attracted a record attendance of 50,000 to Duisburger Stadion for the visit of all conquering local rivals Schalke 04. In the lead up to the War, the team flirted at one point with relegation. They were crowned Dusiburg champions during the War years, before being placed in 2. Liga West, Gruppe 2 after peace was restored. Coach Willi 'Fischken' Multhaup led MSV to promotion to Oberliga West in 1951 following a runners-up place. Oberliga West was one of four top flight divisions at the time. The team went back down in 1955, but they made a return at the first attempt. In 1963-64 MSV became founder members of the Bundesliga, finishing as runners-up to 1. FC Köln. Tasmania Berlin were hammered 9-0 in an away game by ‘Die Zebras’ (The Zebras) in 1966. In the same year MSV reached the final of the DFB Pokal (German FA Cup), where they went down 4-2 to Bayern München in Frankfurt. In 1968 a change in title meant that the club became MSV Duisburg to reflect their standing as the biggest club in the city. A second DFB Pokal final was reached in 1975. On this occasion MSV suffered a 1-0 defeat to Eintracht Frankfurt in Hannover. Their run in the UEFA Cup the following season came to a halt in the second round against Levski Sofia. Some fine Bundesliga seasons culminated with a place in the UEFA Cup for the 1978-79 campaign. A fine run saw victories over Lech Poznań, FC Carl Zeiss Jena and RC Strasbourg led to a semi final with Borussia Mönchengladbach, which ended in a 6-3 defeat on aggregate. The goals of Ronald Worm propelled the side forward at the time. In 1981-82 MSV were relegated from the Bundesliga for the first time, leading to a further demotion four years later to the third tier Oberliga Nordrhein. In 1989 the Zebras climbed back to 2. Bundesliga. Willibert Kremer took the team to the top flight in 1990-91 with Pierre Littbarski amongst the line up, but MSV went straight back down after just one season. With Ewald Lienen in charge of team affairs Duisburg once again won promotion in 1993-94. Yet again they returned to 2. Bundesliga after just one season. MSV were nothing but resilient around this period. Friedhelm Funkel led the side back to the top flight in 1995-96. Funkel’s team made a better fist of things. Victory over Auxerre in the final of the Intertoto Cup led to UEFA Cup football once again. Duisburg reached their third DFB Pokal final in 1998. Once again it would be Bayern München who would spoil the party as they won the showpiece 2-1 in Berlin. In 1999-00 the Zebras were relegated once again. Littbarski returned as head coach in 2001, remaining in charge for just over a year before Norbert Meier replaced him. In May 2003 the local NRW authority gave the club the green light to replace their stadium with a new Duisburg Arena. In 2004-05 Duisburg regained their Bundesliga spot as the new arena was nearing completion after being built in stages to allow the team to continue playing on the same site. Meier’s side last just one campaign at the top as Rudi Bommer arrived to become the new head coach. Bommer took the team straight back up as season tickets hit record levels. However, Zebra fans were to be left disappointed as the team were relegated yet again after one tilt at top division football. Peter Neururer was assigned to try and regain that status. November 2009 saw another change as team boss as Milan Sasic arrived. In 2011 Duisburg got to the final of the DFB Pokal at the Olympiastadion in Berlin. Schalke 04 proved far too strong and took the trophy with a 5-0 victory. Further sad news would follow for the Duisburg faithful as they were relegated to 3. Liga at the end of the 2012-13 season. Following a seventh place finish in the third tier which also saw the lifting of the Niederrhein Cup under Karsten Baumann, new coach Gino Lettieri took the side to the 3. Liga title in 2014-15, to secure second division football. Littieri was replaced in November 2015 after a poor run of results by former MSV player Iliya Gruev. Gruev's side rallied in the second half of the 2015-16 season to avert relegation. MSV Duisburg will play in 2. Bundesliga in the 2016-17 season. Everything was going more or less to plan on a cold but really nice Sunday. My flight had landed from Stansted into Bonn/Cologne on time. I had dropped my bag off in Düsseldorf and then eventually had a look at the homes of Duisburger FV 08 and Eintracht Duisburg. Time was getting on as I found my correct gate in the north west corner. There was a build up of fans as the stewards were only allowing a few through at a time to allow stewards at the other side to frisk everyone before they could go up the steps. There was no need to worry. I was still in with plenty of time to grab a tray of chips and a frikadel before going upstairs to find my seat that offered a brilliant view over the Schauinsland-Reisen-Arena as the MSV-Arena had been renamed for sponsorship purposes. My ticket was €20. The near Nord Kurve had terracing downstairs, as did the far corner at the other end for away fans. An upper tier ran continuously right around the stadium. The main side had an extra section of business seats with boxes behind half way up. It was well designed and certainly held an atmosphere. As ever, St Pauli had an excellent following for a live TV game on a lunchtime. They filled the entire lower section at the far end as well as a block above. The home fans were whipped up as club songs were played, as is the norm in Germany. They were not short on vocals themselves. The Zebras went into the game with MSV deep in relegation trouble, while their visitors from Hamburg were looking at a return to the top flight. MSV showed signs of being short in confidence, but urged on by their fans, they showed some real grit. Defences were well on top in the first half, with chances being at a minimum. I quite enjoyed it, although that could well of been down to the occasion rather than the match. The wind blew up through up from the open concourse meaning the poor woman next to me was covered in crumbls every time I tried to bite into my crusty bread. At the break I wandered downstairs to have a look around. Queues were large for all the concessions. I had a look at the club shop in the hope of finding a programme, but there was nothing doing. It was too cold for a beer so I returned to my seat. Duisburg really were lacking up front. I had a feeling that St Pauli would eventually carve something out. Three minutes after the break the home keeper Michael Ratajczak made a fine save from Enis Alushi, while up at our end a Tómané header was kept out by Robin Himmelmann. As I thought, it was the away team who took the lead when midfielder Marc Rzatkowski fired home from the edge of the box to send the fans at the far end wild with delight. There were plenty of resigned and frustrated faces around me. MSV made a substitution and brought on the Nigerian forward Kingsley Onuegbu. I could immediately see why they scored so few goals. Maybe it was just down to a lack of confidence as they huffed and puffed but some reasonable balls were sent into the box, but the forwards were either in the wrong place, or their first touch was awful. With ten minutes to go I went downstairs. I wanted some extra photos from a different angle and to get into position for a quick getaway. As the clock ticked round to eighty eight minutes I left and ran across to the waiting buses for the station. Worryingly, no other fans were following me. It was obvious that it wasn’t going to be a quick ride in front of the traffic at full time. I made a decision to go back and jump in one of the taxis near the exit gate. My driver was being urged to get a move on, just as St Pauli scored their second goal. My pilot was being far too courteous, though to be fair he did get me back to the station with time to spare before my train on to Dortmund. It was one of the better €10 I’d spent. I had time to grab a coffee before I went on my way to my second game of the day. I’d enjoyed my brief time in Duisburg, but MSV had a real mountain to climb to fight off relegation.